I’d like to share my latest sample with you, designed for a 30th Birthday Party Event. 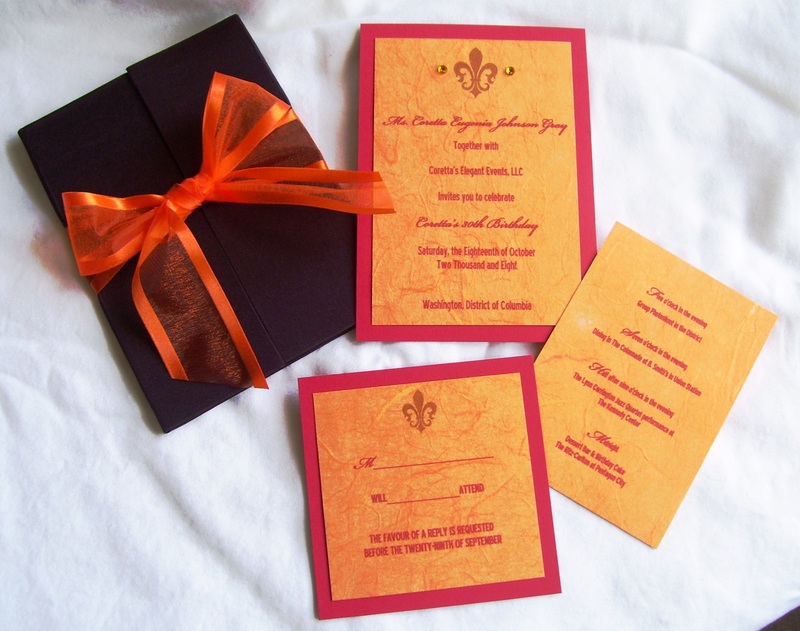 This is a dark chocolate 4×6 folio invitation embellished with an iridescent burnt orange ribbon. It includes the invitation, response card, response evelope (not pictured) and an insert with additional event information for guests. Border is crimson red and the second layer is handmade, textured, burnt orange paper. The text is flat printing with a gold Fleur de Lis graphic and two golden crystals on either side. 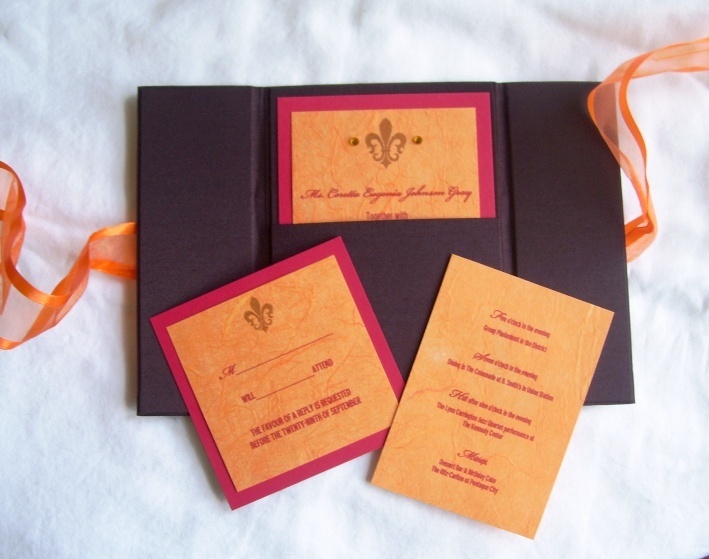 This entry was posted in Birthday Bash, Folio, Invitations, Silk boxes and tagged Birthday, Burnt Orange, Event, Fleur de Lis, Folio, Invitation. Bookmark the permalink.